The A048R has been developed using Yokohama's proven race tyre technology for drivers who participate in events such as track days, circuit racing, track or race schools, autocross competitions, club racing and much more! The A048R has been the original equipment tyre on the Lotus Elise Sport as well as being the control tyre for the Australian V8 Utes Racing Series. The A048R is designed to deliver precise control, predictable grip and sure footed braking. 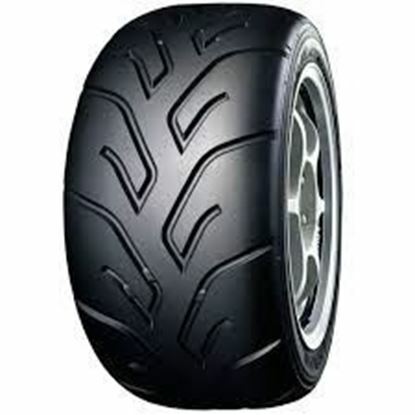 Available in different compounds (Soft, Medium, Medium Hard) enabling the tyres to be matched to the vehicles performance, weight, as well as track conditions and ambient temperatures etc. It uses a 'single block' tread design which increases the tyres footprint and increases tread stiffness, enhancing 'feel', steering response and cornering stability. Advan A048R tyres are moulded with a tread depth of 4.76mm. Inside the tyre, the A048R has twin steel belts that are reinforced with nylon. This belt package is placed over a rounded case design, allowing predictable handling transitions between straight line and cornering.